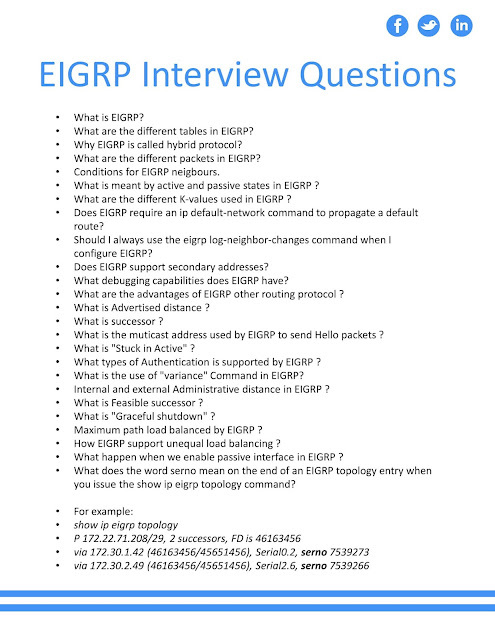 Interview Questions On EIGRP That can Help You a Little Bit - CCNA Academy-a Free CCNA Tutorials. Study CCNA for free! 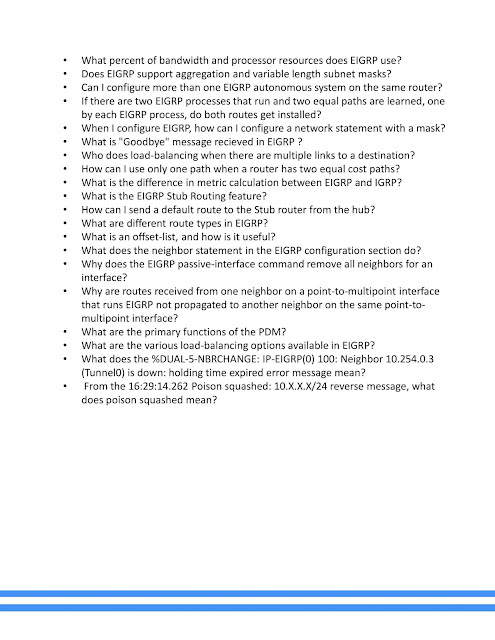 Enhanced Interface Gateway Routing Protocol (EIGRP) is an advanced range vector routing protocol. 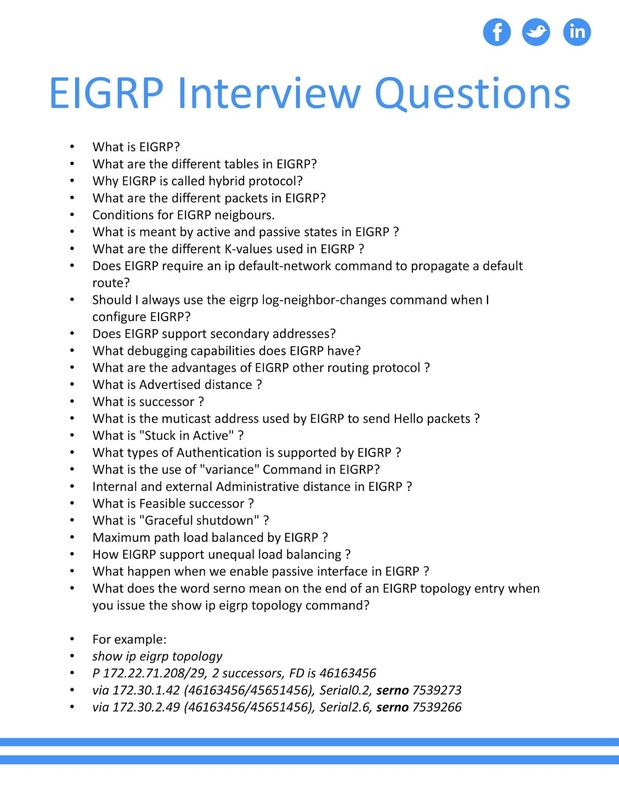 This protocol is the development of an earlier Cisco protocol called IGRP, which is now considered outdated. EIGRP supports classless routing and VLSM, route synthesis, incremental updates, load balancing and many other useful features. This is a Cisco proprietary protocol. All routers on a network running the EIGRP protocol must be Cisco routers.